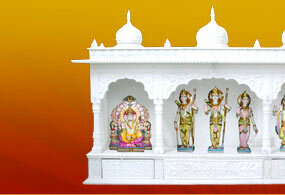 The Marble Temples are available in variegated designs and sizes. Open from 3 sides, these temples have intricate carvings and provide enough space for placing idols and other puja material. 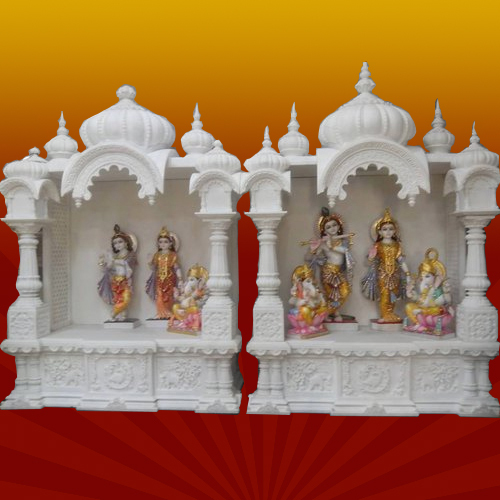 Carved with white marbles, these temples have splendid look and also act as a perfect home decor piece. Depending upon your preferences, these temples are available in numerous heights and wide altars. These temples have elaborated designs and are offered with smooth edges, fine finishing and detailed carving. The entire altar and pillars have an exotic and ravishing appeal. We respect your faith and believe in God and to pay our regards to this faith, BM Natha Exports offers wide range of temples such as Marble Hanuman Temple. 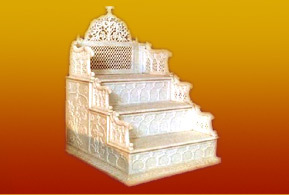 These temples are manufactured from high quality shiny surface white marble to give a divine look to your temple. 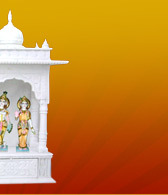 To manufacture these temples we use quality raw material provided by our reliable vendors. Also, we use many colors such as gold lining and different eye soothing colors to make the temple look appealing and pleasant. We emphasis on minute detailing to give you the best of the temple. Manufactured by high quality white marble. Available in various sizes as per clients specifications. BM Natha Exports if the most trusted name which offers wide range of temples such as Marble Narayan Temple. These temples are manufactured from high quality white marble with a smooth shiny surface to give your temple a divine look. To manufacture these temples we use quality raw material provided by our reliable vendors. Also, we use many colors such as gold lining and different eye soothing colors to make the temple look appealing and pleasant. We emphasis on minute detailing to give you the best of the temple. 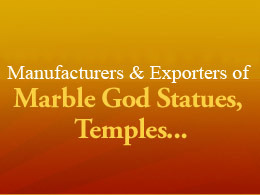 BM Natha Exports are the market leaders in providing wide range of temples such as Carved Marble Temple. These temples are manufactured from high quality white marble with a smooth shiny surface to give your temple a divine look. 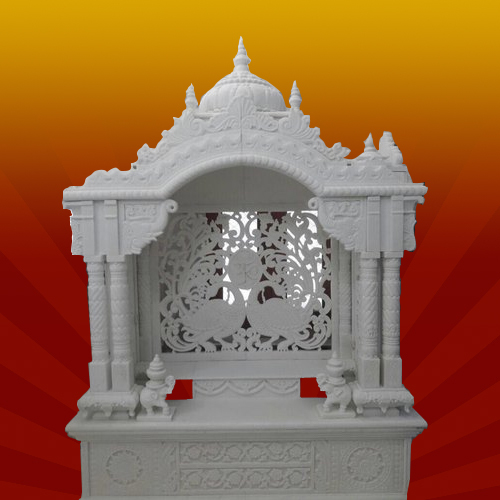 To manufacture these temples we use quality raw material provided by our reliable vendors. These are available in different sizes and shapes as per requirement. Nice and artistic carving on these temples makes them all the more attractive and eye catching. We emphasis on minute detailing to give you the best of the temple. BM Natha Exports are the best and most prestigious name in providing wide range of temples such as Marble Radha Krishna Temple. 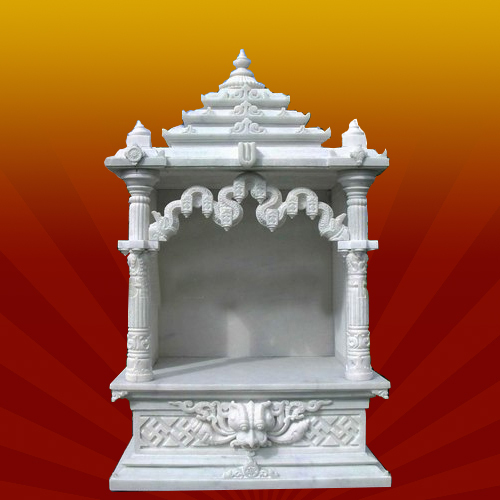 These temples are manufactured from high quality shiny white marble to give a divine look to your temple. 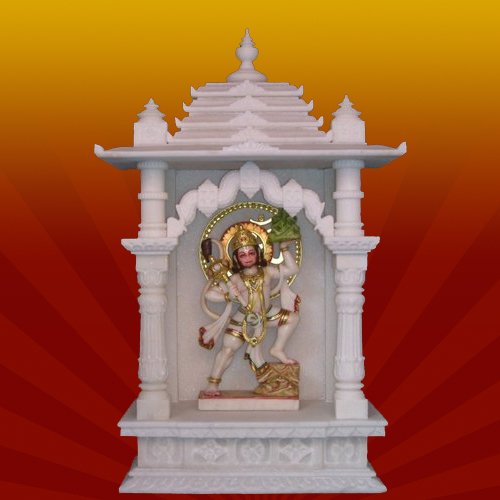 To manufacture these temples we use quality raw material provided by our reliable vendors. Also, we use many colors such as gold lining and different eye soothing colors to make the temple look appealing and pleasant. To give a more attractive look these temples are available with nice carving on them. We emphasis on minute detailing to give you the best of the temple.